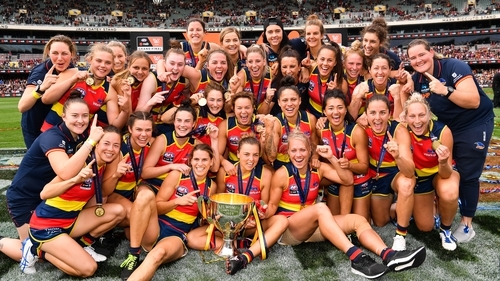 Clare's Ailish Considine helped her side Adelaide Crows win the AFLW Grand final at the Adelaide Oval. They defeated Carlton on a score-line of 10.3 (63) to 2.6 (18) in front of a record-breaking crowd of 55,034. The attendance was the fifth-highest for a football match at the venue, Considine who has impressed all season scored a goal in the emphatic win. The Clare native had the support of her mother, her brother and sister Eimear, who plays rugby for Ireland. The Crows have been a dominant force in the AFL, after a one-point loss to the Western Bulldogs in round one, they went on an eight-game winning streak.